The first beginnings of the flashlight project: Instruction and a 9-LED conversion. The LED museum: Inspiration and encouragement. Front view of the 9-LED conversion. As can be seen, the LEDs were mounted on a perforated board. 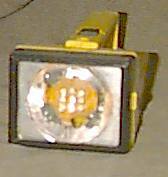 Each LED has a resistor behind it, and the assembly is glued into the reflector of an old rehargeable flashlight. The head on this light can swivel up and down. This makes it very handy for aiming the light without having to hold the instrument. 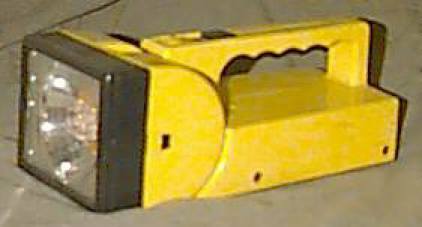 The flashlight model is a BRK Electronics "Handy-Beam" model 900. (4VDC, 120VAC, 60 Hz, 0.05 Amp.) and is at least 10 years old. Having the LEDs installed is a great update. 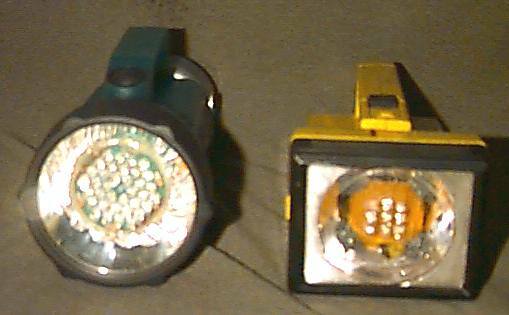 The LEDs in the 9-LED flashlight were rated at 6000MCd each. 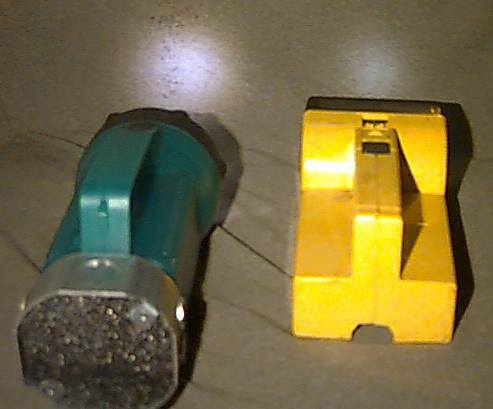 The LEDs in the 36-LED flashlight are newer and rated 8000MCD each. Both lights run 20mA per LED. 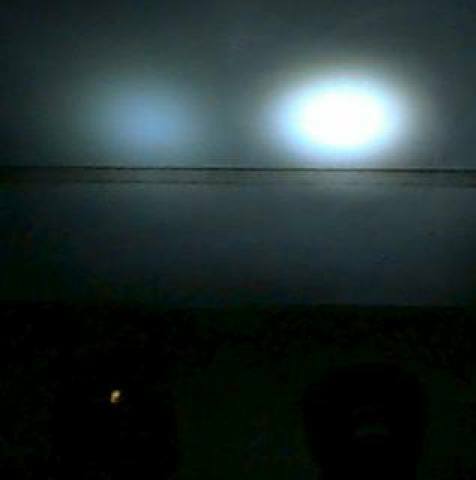 The illumination from the flashlights looks dim, because a flash was used with the camera. 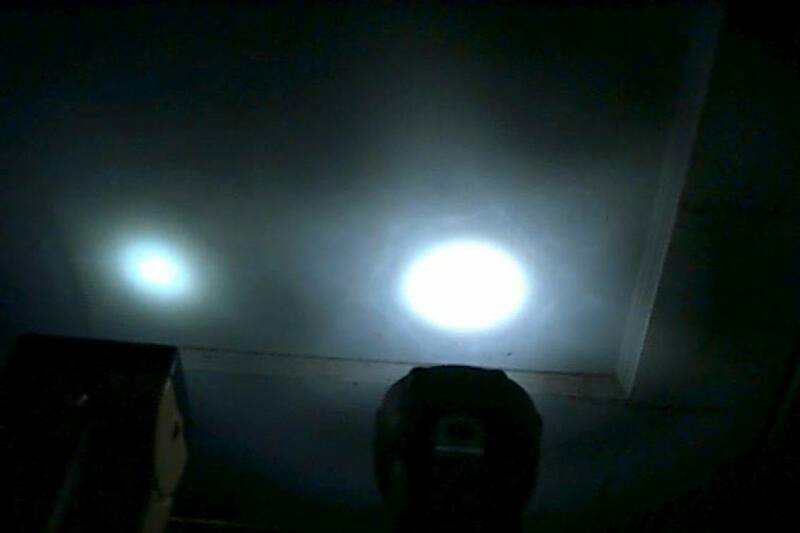 9-LED is on the left, 36-LED is on the right. target is a flat-white door. Instrumnts are 12" from the door. Do not be deceived by the overly white color on the right. The light was bright enough to saturate the camera, so it looks whiter than it really is. 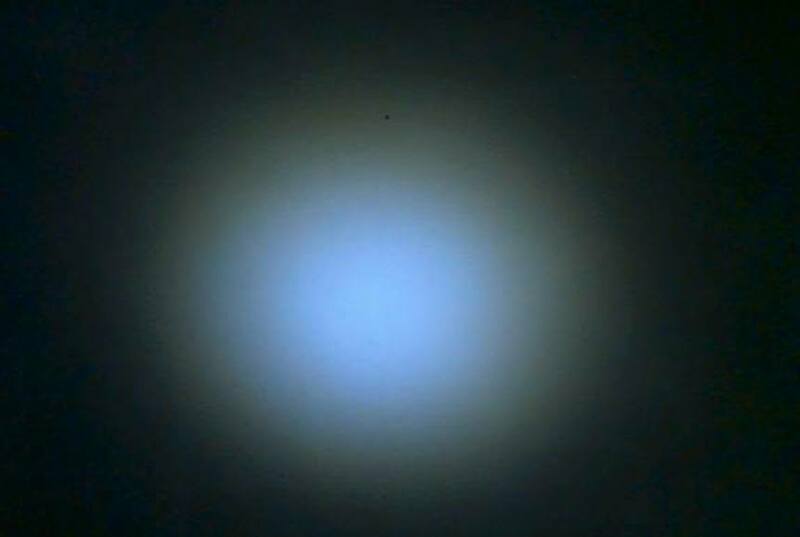 The color of both LED types appeared about the same, a bluish-white color.  The lights are at 6" from the surface in this image. The 36-LED unit at 3' from the surface. The 9-LED unit at 3' from the surface.